Alkins Real Estate Ltd - Toronto Neighbourhoods - Homes of Sunnylea, The Kingsway, Humber Valley Village, Princess Anne Manor - Their character and history. Sunnylea is a highly sought after neighbourhood that is especially popular with young families. There is a country charm here thanks to the Mimico Creek which gently meanders through the centre of this neighbourhood. Sunnylea's many mature trees and the exclusion of sidewalks add to its country-like ambience. Sunnylea is known for its excellent schools which are a popular drawing card for this neighbourhood. The elementary schools have definite enrollment boundaries that serve different parts of this neighbourhood. You can phone the schools listed below to see which one your child would attend. The history of the Sunnylea neighbourhood revolves around Alexander Thompson who purchased two hundreds acres of land in this area in 1803, after his discharge from the Kings Rangers. Alexander Thompson lived in a distinguished residence, just south of Bloor Street at Royal York Road that was known as "Rose Bank Cottage." His son Archibald lived in a country Georgian farmhouse just to the south of his father, that was called "Spring Bank Cottage." Spring Bank Cottage is still standing today at 7 Meadowcrest Road. The Thompson property was renowned for its apple, cherry, pear and plum orchards. In the latter part of the 1800's the Thompson's were joined in Sunnylea by families who cultivated thriving market gardens filled with fruits and vegetables. A handful of these old Sunnylea farmhouses are still standing both on Prince Edward Drive and on Islington Avenue. In 1907, the first Sunnylea School - a two room white brick schoolhouse - was built on Prince Edward Drive. Edna G. Whitworth, a pupil at the school won a contest in coming up with the Sunnylea name which also became the name of this community. Sunnylea's old farms were subdivided in the 1930's and 40's, when the present day neighbourhood was developed. The influx of new families to this community led to the opening of the second Sunnylea school in 1942. The Kingsway is the premier neighbourhood in Toronto's west end. This well planned community was designed for families. The houses and properties are a good size, the streets are pedestrian friendly, and the schools, shopping, churches, and recreation are all within walking distance. The Kingsway is known for its idyllic setting, nestled in the forest of the Humber River Valley. The Kingsway streets are lined with majestic oak and maple trees that provide the perfect backdrop for the stately homes that grace this neighbourhood. Kingsway Park is situated on former Clergy Reserve lands that were deeded to the Church of England in the early 1800's. The church leased this property to farmers until 1908 when it was acquired by Robert Home Smith, the visionary who planned The Kingsway neighbourhood. Home Smith and Company began marketing this subdivision in 1912. However the sale of homes in Kingsway Park was stalled by the outbreak of World War I, as well as inadequate transportation routes across the Humber River Valley. It wasn't until 1924 when the Bloor Street bridge was built that the sale of houses in Kingsway Park began. Many of the first Kingsway Park residents were Northern Ontario mining executives and Toronto businessman who were personally acquainted with Robert Home Smith and were encouraged by him to purchase houses here. Home Smith's motto for Kingsway Park was "a little bit of England far from England". His lofty ideal was to establish an English style garden suburb of the highest integrity and beauty. It is Robert Home Smith's legacy that Kingsway Park endures today as one Toronto's finest neighbourhoods. 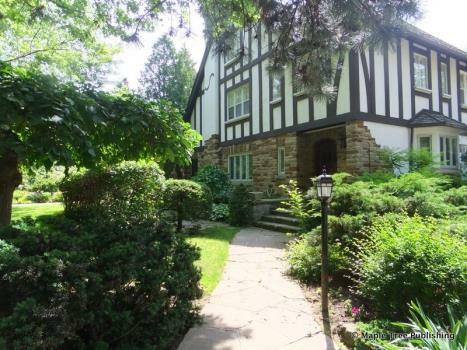 Humber Valley Village is an upper middle-income family oriented neighbourhood. Its distinctive rolling topography, curvilinear streets and abundance of mature trees are a byproduct of the Humber River Valley Ravine which forms the eastern boundary of this neighbourhood. 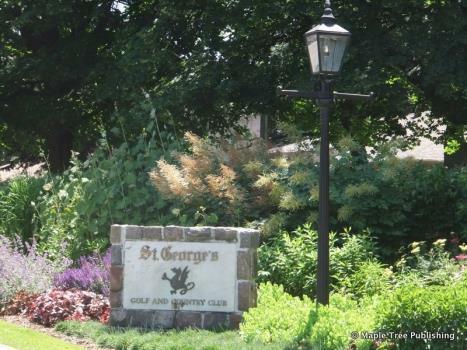 The two dominant geographical landmarks in Humber Valley Village are the St. George's Golf and Country Club which stretches across Islington Avenue, and James Gardens - a picturesque strolling garden located along the banks of the Humber River Valley. The Humber Valley Village neighbourhood was developed as part of Home Smith and Company's "Humber Valley Surveys". The Humber Valley Surveys included 3,000 acres of prime real estate stretching along the Humber River from the Queensway north to Eglinton Avenue. This large land assembly included the building of the Humber Valley Village neighbourhood as well as the Kingsway, Baby Point, Old Mill and Princess Anne Gardens-Manor neighbourhoods. The St. George's Golf Club off Islington Avenue was also developed by Home Smith and Company. The president of Home Smith and Company was Robert Home Smith, a graduate of law from the University of Toronto. Robert Home Smith was a multi-talented individual who served as Chairman of the Toronto Harbour Commission, helped to pioneer the development of Northern Ontario Mines, and was president of many North American railway companies. 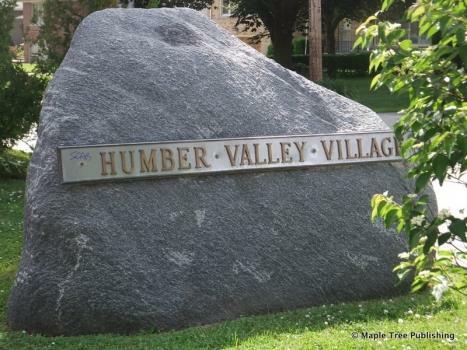 The first homes in Humber Valley Village were built in the 1930's near James Gardens, along the Humber Valley. Unfortunately Robert Home Smith died in 1935, long before the Humber Valley Village neighbourhood was completed in the 1960's. Princess Anne Manor and Princess Gardens are virtually one neighbourhood. However east of Kipling Avenue has always been referred to as Princess Anne Manor while west of Kipling Avenue is known as Princess Gardens. This is a quiet family oriented community that is the epitome of suburban living. Here you will find wide open spaces, tall stands of mature trees, spacious houses, excellent schools, an abundance of parks, nearby golf courses and neighbourhood shopping plazas. Princess Anne Manor and Princess Gardens were the last subdivisions to be developed by Home Smith and Company, whose earlier developments included the building of neighbourhoods such as The Kingsway, Baby Point, Old Mill, and Humber Valley Village. Home Smith and Company also built the Brule Gardens subdivision in Swansea, and the Foxwell subdivision in Lambton. The following excerpt is taken from a 1955 Home Smith Properties Ltd. advertising brochure promoting the sale of homes in Princess Anne Manor and Princess Gardens: "Rapid acceptance of Princess Anne Manor and Princess Gardens by the builders and homeowners has been unprecedented. More than 45 discriminating families have moved into the area since May 1955 ...If you are looking for the kind of home you and your wife have planned, come to us for advice on a house or a lot in Princess Anne Manor or Princess Gardens." Princess Anne Manor and Gardens proved to be very popular with families and, by the early 1960's this neighbourhood was completely developed.